He's got that right. No coat will keep you warm in these temps! The current windchill is -33°F as I write that. Isn't that almost comical? Oh Minnesota... it's hard to imagine running a marathon outdoors four months from now! Life outside of running is exciting as always! My husband has kicked off the year following the Insanity workouts and he's really sticking to it. I'm proud of him! He's been the one getting up early and working out lately; I've gotten out of practice since the last training cycle and I need to steal some motivation from him. The school year is already halfway through. E's first wrestling match is coming up this week. Ninjago Legos are the boys' latest obsession. 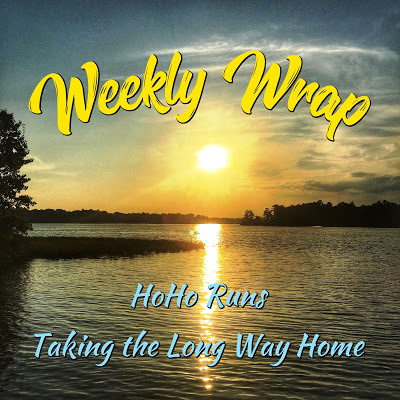 Returning from a hip flexor injury in August 2018 to train for Fargo Marathon 2019 in May. SUN: Easy 6.01 mi, 53:31 @ 8:55/mi finally outdoors and enjoying decent temps. MON: (Treadmill) Easy 5.0 mi, 41:26 @ 8:21/mi. Strength: Atlas - core. WED: (Treadmill) Tempo 5.01 mi, 42:14. 1 mi WU, 2 mi @ 7:30, 1 mi easy, 1 mi @ 7:30/mi. Strength: Poseidon - full body. The pushups and tricep dips always kick my tail! THURS: (Treadmill) Easy 4.17 mi, 37:26 @ 8:58/mi. FRI: No running; Strength: Bia - hips from yesterday. SAT: (Treadmill) 8.01 mi, 1:06:39 @ 8:19/mi. And it's a good thing. Okay, mainly it's my triceps and upper body in general! I haven't done push ups or dips in ages. We have had some amazing weather for January in Minnesota, think 30's and 40's with SUN. The kids and I have been taking in the rays and I run outside when logistically possible (which honestly hasn't been much). It's not the outdoor time or old injury that's made me so stiff. Not even the slip on ice I had a few weeks ago. Ouch, that did hurt too. In all seriousness, this strength program has been exactly what I needed to kick off the new year (thanks, mom & dad!) and it's the closest thing to a "running coach" that I'll ever have. That hip flexor strain last August took a whopping 4 months to completely heal. FOUR MONTHS! And I don't want to go back to that. My hip and core strength has been lacking, especially after returning to running after our third baby, and I am going to be dedicated to strength work in 2019. The Plan: Include 4 Strength sessions per week. It's doable, not too time consuming, and I can do these routines with the kids crawling all over/hanging on me. 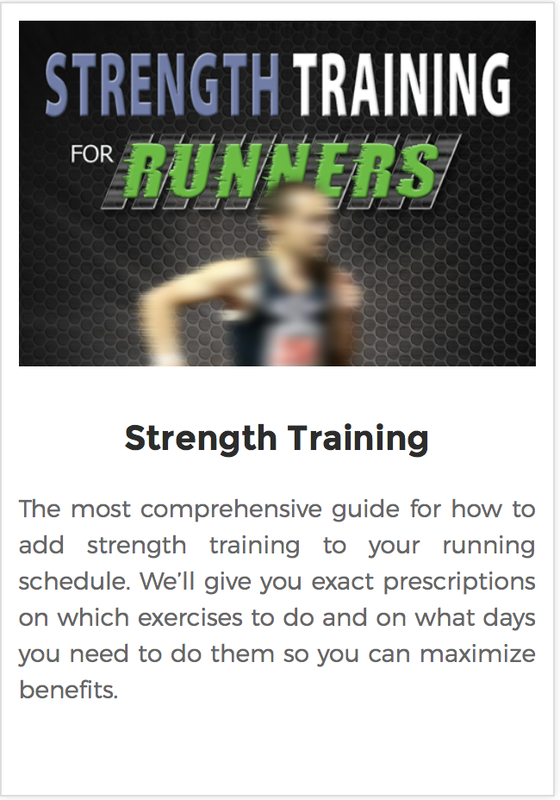 This RunnersConnect program contains training prescriptions for every race distance with details on what days to do which workouts. Then the workouts (all with Greek mythology-inspired names) are listed with reps, descriptions and a video covering all of the moves. This reminds me of our strength training program for college tennis - it's detailed, I know exactly what to do, no guess work and that, I like. 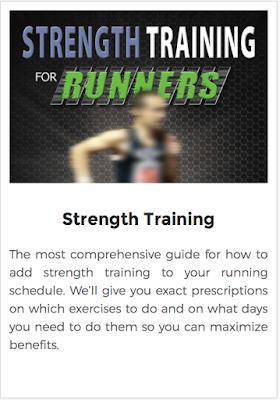 Now is the perfect time to get rolling on the "strength train" as I'm rebuilding my running mileage base and working back into marathon training mid-month! 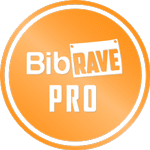 Easing back into marathon mileage after a hip flexor strain in August 2018. SUN: Long-ish Run 6.02 mi, 50:34 @ 8:28/mi in the snow, somewhat windy. Good news is I felt no pain in my hip even in the loose snow and ice. Strength: Hamstring/Glutes. MON: (Treadmill) Easy 4.09, 36:10 @ 8:50/mi. Strength: Atlas - core. TUES: Off - Happy New Years! WED: (Treadmill) Easy 5.0 mi, 41:57 @ 8:23/mi. Strength: Poseidon - full body. THURS: Off - House sale meeting went later than planned. FRI: (Treadmill) Easy 4.17 mi, 36:19 @ 8:42/mi. Strength: Bia - hips. SAT: Long Run 8.01 mi, 1:01:55 @ 7:44/mi. Strength: Achilles and Hams/Glutes.